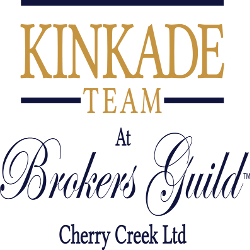 If Website User has any questions about these terms, contact ColoradoLuxuryCondos.com at Info@KinkadeTeam.us, or call ColoradoLuxuryCondos.com at (888) 675-4516. ColoradoLuxuryCondos.com is open to all bona fide buyers of real estate who are at least 18 years of age and not a party to a service agreement with a real estate broker, real estate agent, or real estate firm not associated with ColoradoLuxuryCondos.com. By using this Site, Website User agree and acknowledge that Website User is not a party to contract or agreement with a real estate broker, real estate agent, or real estate firm not associated with ColoradoLuxuryCondos.com and that Website User does not hold any type of real estate license in the state of Colorado, including, but not limited to, a broker license or an associate broker license. This Agreement sets forth the terms and conditions that apply to use of the ColoradoLuxuryCondos.com by Website User. By using this Site (other than to read this Agreement for the first time), Website User agree to comply with all of the terms and conditions hereof. 3. Participating Real Estate Agents and Participating Real Estate Brokers. Website User agrees and acknowledges that all Real Estate Agents (hereinafter, “Participating Real Estate Agents”) and Real Estate Brokers (hereinafter, “Participating Real Estate Brokers”) affiliated with this Site are independent real estate agents and not employees of ColoradoLuxuryCondos.com. ColoradoLuxuryCondos.com is not responsible for any transactions in which the Website User and a Participating Real Estate Agent or Participating Real Estate Broker enter into. Website User should make an independent assessment of the Participating Real Estate Agent or Participating Real Estate Broker prior to entering into any relationship or agreement with the Participating Real Estate Agent or Participating Real Estate Broker. 4. Relationship between ColoradoLuxuryCondos.com and Website User. Use of the Site is for informational purposes only. By using the Site, Website User agrees and acknowledges that ColoradoLuxuryCondos.com is not entering into any form of fiduciary or brokerage relationship with Website User by granting Website User access to, and/or use of, the Site. In addition, Website User agrees and acknowledges that any contact by ColoradoLuxuryCondos.com, a Participating Real Estate Agent, a Participating Real Estate Broker, or a Third Party to whom Website User is referred by ColoradoLuxuryCondos.com does not establish a fiduciary or brokerage relationship between the Website User and ColoradoLuxuryCondos.com, the Participating Real Estate Agent, Participating Real Estate Broker, or Third Party unless ColoradoLuxuryCondos.com, the Participating Real Estate Agent, Participating Real Estate Broker, or Third Party specifically enters into such a relationship with Website User in writing or assists Website User in procuring a real estate transaction contract. Website User is under no obligation to work with any Participating Real Estate Agent, Participating Real Estate Broker, and/or Third Party referred to Website User by ColoradoLuxuryCondos.com. Website User agrees and acknowledges that any brokerage or fiduciary relationship that Website User enters into with a Participating Real Estate Agent or Participating Real Estate Broker will be solely between Website User and the Participating Real Estate Agent or Participating Real Estate Broker and his or her brokerage firm. 5. Consent to Emails from ColoradoLuxuryCondos.com. Website User agrees and acknowledges Website User consents to receiving emails from ColoradoLuxuryCondos.com by registering with this Site. 6. Consent to Phone Calls from ColoradoLuxuryCondos.com. Website User agrees and acknowledges Website User consents to receiving telephone calls from ColoradoLuxuryCondos.com by registering with this Site. Website User specifically acknowledges that if Website User has registered with the federal or a state “Do Not Call” list that any phone calls from ColoradoLuxuryCondos.com, a Participating Real Estate Agent, and/or a Participating Real Estate Broker does not violate any such registration with said lists. 7. Responsibility of Website User. Website User agrees and acknowledges that Website User will limit Website User’s searches conducted through ColoradoLuxuryCondos.com to houses or properties within Website User’s anticipated purchase ability or price range and to the properties that meet Website User’s criteria for purchase. Further, Website User agrees and acknowledges that Website User will not attempt to contact the seller of any property identified by using the Site or enter into a contract to purchase such property except through a Participating Real Estate Agent or Participating Real Estate Broker referred by ColoradoLuxuryCondos.com. Should Website User purchase any properties viewed on the Site through a Real Estate Agent or Real Estate Broker not associated with ColoradoLuxuryCondos.com, Website User may be liable to ColoradoLuxuryCondos.com for the full commission due to the Buyer’s Agent in any such transaction. Website User acknowledges that the Internet is not a secure environment and sometimes there are interruptions in service or events that are beyond the control of ColoradoLuxuryCondos.com. While ColoradoLuxuryCondos.com makes reasonable precautions against loss or theft of data, ColoradoLuxuryCondos.com shall not be responsible for any data lost or stolen while transmitting information on the Internet. While it is ColoradoLuxuryCondos.com’s objective to make the Site accessible 24 hours per day, 7 days per week, the Site may be unavailable at any time for any reason including, without limitation, routine maintenance. ColoradoLuxuryCondos.com shall have the right at any time to change or discontinue any aspect or feature of ColoradoLuxuryCondos.com, including, but not limited to: the Participating Real Estate Agents; the Participating Real Estate Brokers; email subscriptions available from ColoradoLuxuryCondos.com; the features on the Site for Website Users; the services available to Website Users; and the equipment or software needed for access and/or use of the Site. ColoradoLuxuryCondos.com may discontinue or eliminate features on the Site; may discontinue relationships with Participating Real Estate Agents and/or Participating Brokers; may change or eliminate any transmission method of Website feature; and/or may change transmission speeds or other signal characteristics on the Site. Further, ColoradoLuxuryCondos.com may request additional information at any time by Website User to update or enhance Website User benefits, verify eligibility of Website User to use the Site, or to enhance the benefits and/or use of the Site. 11. Registration Data; Account Security. In consideration of Website User’s use of the Site, Website User agree to (a) provide accurate, current, and complete information about Website User as may be prompted by any registration forms on the Site (“Registration Data”); (b) maintain the security of Website User’s password and identification or, if Website User releases Website User’s account information to a third party, be responsible for all actions on Website User’s account done by that third party; (c) maintain and promptly update the Registration Data, and any other information Website User provides to ColoradoLuxuryCondos.com to keep it accurate, current, and complete; (d) be fully responsible for all use of Website User’s account and for any actions that take place using Website User’s account; and (e) discontinue use of the Site immediately if Website User enter into a contract or agreement with a real estate broker, real estate agent, or real estate firm not associated with ColoradoLuxuryCondos.com. Website User is responsible for obtaining and maintaining all telephone, computer hardware, printers, and other equipment needed for access to and use of this Site. ColoradoLuxuryCondos.com shall not be liable for any damages to Website User’s equipment resulting from the use of this Site. and/or use automated scripts to collect information from or otherwise interact with the Site. use the Site if Website User is represented by a real estate agent, real estate broker, or are a licensed real estate professional not associated with ColoradoLuxuryCondos.com. The foregoing provisions of this Section 13 apply equally to and are for the benefit of ColoradoLuxuryCondos.com, its subsidiaries, affiliates, and its third party content providers and licensors, and each shall have the right to assert and enforce such provisions directly or on its own behalf. All content on the Site, including, but not limited to, designs, text, graphics, pictures, video, information, music, sound, and other files, and their selection and arrangement (the “Site Content”), are the proprietary property of ColoradoLuxuryCondos.com, Metrolist, Inc., the Participating Real Estate Agents, Participating Real Estate Brokers, and/or its licensors, with all rights reserved. No Site Content may be modified, copied, distributed, framed, reproduced, republished, downloaded, scraped, displayed, posted, transmitted, or sold in any form or by any means, in whole or in part, without ColoradoLuxuryCondos.com’s prior written permission. Any violation of this policy may result in a copyright, trademark, or other intellectual property right infringement that may subject Website User to civil and/or criminal penalties. This Site contains copyrighted material, trademarks, and other proprietary information, including, but not limited to, text, software, photos, video, graphics, music, sound, and the entire contents of ColoradoLuxuryCondos.com protected by copyright as a collective work under the United States copyright laws. ColoradoLuxuryCondos.com owns a copyright in the selection, coordination, arrangement, and enhancement of such content, as well as in the content original to it. Website User may not modify, publish, transmit, participate in the transfer or sale, create derivative works, or in any way exploit, any of the content, in whole or in part. Website User may not upload or republish Site Content on any Internet, Intranet, or Extranet site or incorporate the information in any other database or compilation. ColoradoLuxuryCondos.com does not permit use of any data mining, robots, scraping, or similar data-gathering or extraction methods. Website User may download, print, and/or save copyrighted material for Website User’s personal use only. Website User acknowledges that he does not acquire any ownership rights by downloading copyrighted material. By submitting material to any this Site, Website User warrants that the owner of such material has expressly granted ColoradoLuxuryCondos.com the royalty-free, perpetual, irrevocable, non-exclusive right and license to use, reproduce, modify, adapt, publish, translate, and distribute such material (in whole or in part) worldwide and/or to incorporate it in other works in any form, media, or technology now known or hereafter developed for the full term of any copyright that may exist in such material. Website User also permits any other users to access, view, store, or reproduce the material for that user’s personal use. Website User hereby grants ColoradoLuxuryCondos.com the right to edit, copy, publish, and distribute any material made available on this Site by Website User. The foregoing provisions of Section 14 apply equally to and are for the benefit of ColoradoLuxuryCondos.com its subsidiaries, affiliates, its third party content providers, and licensors and each shall have the right to assert and enforce such provisions directly or on its own behalf. ColoradoLuxuryCondos.com is a trademark of The Home Cart, Inc. All rights in respect of this trademark are hereby expressly reserved. Unless otherwise indicated, all other trademarks appearing on ColoradoLuxuryCondos.com are the property of their respective owners. Trademarks that are located on the Site shall not be deemed to be in the public domain but rather the exclusive property of ColoradoLuxuryCondos.com, unless such site is under license from the Trademark owner thereof in which case such license is for the exclusive benefit and use of ColoradoLuxuryCondos.com, unless otherwise stated. 16. Copyright, Trademark, and Intellectual Property Complaints. ColoradoLuxuryCondos.com respects the intellectual property rights of others. ColoradoLuxuryCondos.com prohibits Website Users from uploading, posting, or otherwise transmitting on the Site any materials that violate another party’s intellectual property rights. When ColoradoLuxuryCondos.com receives proper Notification of Alleged Copyright Infringement as described in our Copyright Policy, ColoradoLuxuryCondos.com promptly removes or disables access to the allegedly infringing material upon conclusion the material infringes upon another rights and terminates the accounts of repeat infringers as described herein in accordance with the Digital Millennium Copyright Act. If Website User believes that any material on the Site infringes upon any copyright that Website User owns or controls, Website User may send a written notification of such infringement to our Designated Agent. Please see our Copyright Policy for more information on how to report infringement of copyright-protected material. ColoradoLuxuryCondos.com may, at its sole discretion, terminate Website Users who are deemed by ColoradoLuxuryCondos.com to be have committed copyright infringement, whether or not there is any repeat infringement. 17. Third Party Websites and Content. The Site contains links to other web sites (“Third Party Sites”) as well as articles, photographs, text, graphics, pictures, designs, music, sound, video, information, or items belonging to or originating from third parties (the “Third Party Content”). Such Third Party Sites and Third Party Content are not investigated, monitored, or checked for accuracy, appropriateness, or completeness by ColoradoLuxuryCondos.com. ColoradoLuxuryCondos.com is not responsible for any Third Party Sites accessed through the Site or any content posted by any Website Users on this Site or any Third Party Sites regarding ColoradoLuxuryCondos.com. If Website User decides to leave the Site and access the Third Party Sites, Website User does so at Website User’s own risk and Website User should be aware that ColoradoLuxuryCondos.com’s terms and policies no longer govern. Website User should review the applicable terms and policies, including privacy and data gathering practices, of any site to which Website User navigates from this Site. Any opinions, advice, statements, services, offers, or other information or content expressed or made available whether on the Site or through personal contact (whether by phone, email, in-person, or by some other means) by Participating Real Estate Agents, Participating Real Estate Brokers, or other Third Parties are those of the respective individuals(s) and not of ColoradoLuxuryCondos.com. Neither ColoradoLuxuryCondos.com nor any third-party provider of information guarantees the accuracy, completeness, or usefulness of any content, nor its merchantability or fitness for any particular purpose. In many instances, the content available through this Site represents the opinions and judgments of the Participating Real Estate Agents or Participating Real Estate Brokers that partner through this Site and not those of ColoradoLuxuryCondos.com. Under no circumstances will ColoradoLuxuryCondos.com be liable for any loss or damage caused by Website User’s reliance on information obtained through ColoradoLuxuryCondos.com. It is the responsibility of Website User to evaluate the accuracy, completeness, or usefulness of any information, opinion, advice, etc., or other content available through ColoradoLuxuryCondos.com or offered through personal contact (whether by phone, email, in-person, or by some other means) by Participating Real Estate Agents, Participating Real Estate Brokers, or other Third Parties. It is also the responsibility of Website User to independently review and seek advice from Website User’s attorney prior to signing any agreements or contracts with a Participating Real Estate Agent or Participating Real Estate Broker. 19. Disclaimer of Warranty; Limitation of Liability. WEBSITE USER EXPRESSLY AGREES THAT USE OF THIS SITE IS AT WEBSITE USER’S SOLE RISK. IN NO EVENT WILL ColoradoLuxuryCondos.com OR ITS DIRECTORS, SHAREHOLDERS, MEMBERS, EMPLOYEES, AFFLIATES, OR AGENTS BE LIABLE TO WEBSITE USER OR ANY THIRD PERSON FOR ANY INDIRECT, CONSEQUENTIAL, EXEMPLARY, INCIDENTAL, SPECIAL, OR PUNITIVE DAMAGES ARISING FROM WEBSITE USER’S USE OF THE SITE OR RESULTING FROM THE PURCHASE OF ANY GOODS OR SERVICES FROM OR THROUGH THE REPRESENTATION OF A PARTICIPATING REAL ESTATE AGENT OR PARTICIPATING REAL ESTATE BROKER. NEITHER COLORADOLUXURYCONDOS.COM, ITS AFFILIATES NOR ANY OF THEIR DIRECTORS, SHAREHOLDERS, RESPECTIVE EMPLOYEES, AGENTS, THIRD PARTY CONTENT PROVIDERS OR LICENSORS WARRANT THAT USE OF THE SITE WILL BE UNINTERRUPTED OR ERROR FREE; NOR DO THEY MAKE ANY WARRANTY AS TO (I) THE RESULTS THAT MAY BE OBTAINED FROM USE OF THIS SITE, OR (II) THE ACCURACY, RELIABILITY OR CONTENT OF ANY INFORMATION OR SERVICE PROVIDED ON THIS SITE INCLUDING THE AVAILABILITY OR ACCURACY OF ANY PROPERTY LISTINGS. USE OF THIS SITE IS MADE AVAILABLE ON AN “AS IS” BASIS WITHOUT WARRANTIES OF ANY KIND, EITHER EXPRESS OR IMPLIED, INCLUDING, BUT NOT LIMITED TO, WARRANTIES OF TITLE OR IMPLIED WARRANTIES OF MERCHANTABILITY OR FITNESS FOR A PARTICULAR PURPOSE, OTHER THAN THOSE WARRANTIES WHICH ARE IMPLIED BY AND INCAPABLE OF EXCLUSION, RESTRICTION, OR MODIFICATION UNDER THE LAWS APPLICABLE TO THIS AGREEMENT. THIS DISCLAIMER OF LIABILITY APPLIES TO ANY DAMAGES OR INJURY, EITHER BODILY OR FINANCIALLY, CAUSED BY ANY FAILURE OF PERFORMANCE, ERROR, OMISSION, INTERRUPTION, DELETION, DEFECT, DELAY IN OPERATION OR TRANSMISSION, COMPUTER VIRUS, COMMUNICATION LINE FAILURE, THEFT OR DESTRUCTION OR UNAUTHORIZED ACCESS TO, ALTERATION OF, OR USE OF RECORD, WHETHER FOR BREACH OF CONTRACT, TORTIOUS BEHAVIOR, NEGLIGENCE, OR UNDER ANY OTHER CAUSE OF ACTION RESULTING FROM THE USE OF THIS SITE. WEBSITE USER SPECIFICALLY ACKNOWLEDGES THAT COLORADOLUXURYCONDOS.COM IS NOT LIABLE FOR THE DEFAMATORY, OFFENSIVE, OR ILLEGAL CONDUCT OF OTHER USERS OR THIRD PARTIES AND THAT THE RISK OF INJURY FROM THE FOREGOING RESTS ENTIRELY WITH WEBSITE USER OR THIRD PARTY. THIS DISCLAIMER OF LIABILITY APPLIES TO ANY DAMAGES OR INJURY, EITHER BODILY OR FINANCIALLY, CAUSED BY ANY FAILURE OF PERFORMANCE, ERROR, OMISSION, THEFT OR DESTRUCTION OR UNAUTHORIZED ACCESS TO, ALTERATION OF, OR USE OF RECORD, WHETHER FOR BREACH OF CONTRACT, TORTIOUS BEHAVIOR, NEGLIGENCE, OR UNDER ANY OTHER CAUSE OF ACTION TO WEBSITE USER RESULTING FROM THE USE OF THE SITE. WEBSITE USE SPECIFICALLY ACKNOWLEDGES THAT COLORADOLUXURYCONDOS.COM IS NOT LIABLE FOR THE DEFAMATORY, OFFENSIVE, OR ILLEGAL CONDUCT OF PARTICIPATING REAL ESTATE AGENTS, PARTICIPATING REAL ESTATE BROKERS, OR THIRD PARTIES AND THAT THE RISK OF INJURY FROM THE FOREGOING RESTS ENTIRELY WITH THE PARTICIPATING REAL ESTATE AGENTS, PARTICIPATING REAL ESTATE BROKERS, OR THIRD PARTIES. IN NO EVENT SHALL COLORADOLUXURYCONDOS.COM, OR ANY PERSON OR ENTITY INVOLVED IN CREATING, PRODUCING, OR DISTRIBUTING THIS SITE OR THE CONTENTS HEREOF, INCLUDING ANY SOFTWARE, BE LIABLE FOR ANY DAMAGES, INCLUDING, WITHOUT LIMITATION, DIRECT, INDIRECT, INCIDENTAL, SPECIAL, CONSEQUENTIAL OR PUNITIVE DAMAGES ARISING OUT OF THE USE OF OR INABILITY TO USE THIS SITE. WEBSITE USER HEREBY ACKNOWLEDGES THAT THE PROVISIONS OF THIS SECTION SHALL APPLY TO ALL CONTENT ON THIS SITE. IN ADDITION TO THE TERMS SET FORTH ABOVE, NEITHER COLORADOLUXURYCONDOS.COM, NOR ITS AFFILIATES, INFORMATION PROVIDERS OR CONTENT PARTNERS SHALL BE LIABLE REGARDLESS OF THE CAUSE OR DURATION, FOR ANY ERRORS, INACCURACIES, OMISSIONS, OR OTHER DEFECTS IN, OR UNTIMELINESS OR UNAUTHENTICITY OF, THE INFORMATION CONTAINED WITHIN THIS SITE, OR FOR ANY DELAY OR INTERRUPTION IN THE TRANSMISSION THEREOF TO THE WEBSITE USER, OR FOR ANY CLAIMS OR LOSSES ARISING THEREFROM OR OCCASIONED THEREBY. NONE OF THE FOREGOING PARTIES SHALL BE LIABLE FOR ANY THIRD PARTY CLAIMS OR LOSSES OF ANY NATURE, INCLUDING WITHOUT LIMITATION LOST PROFITS, PUNITIVE OR CONSEQUENTIAL DAMAGES. COLORADOLUXURYCONDOS.COM IS NOT RESPONSIBLE FOR ANY CONTENT THAT A USER, PARTICIPATING REAL ESTATE AGENT, PARTICIPATING BROKER, THIRD PARTY, OR AN UNAUTHORIZED USER MAY POST ON THIS SITE. ANY CONTENT THAT IS POSTED OR UPLOADED THAT IS OR MAY BE DEEMED UNSUITABLE CAN AND MAY BE TAKEN DOWN BY ColoradoLuxuryCondos.com. MOREOVER, ColoradoLuxuryCondos.com RESERVES THE RIGHT TO EDIT, CHANGE, ALTER, DELETE, AND PROHIBIT ANY AND ALL CONTENT THAT IT, ColoradoLuxuryCondos.com, DEEMS UNSUITABLE. WEBSITE USER AGREES AND ACKNOWLEDGES THAT THE PARTICIPATING REAL ESTATE AGENTS AND PARTICIPATING REAL ESTATE BROKERS ARE INDEPENDENT AGENTS AND THAT COLORADOLUXURYCONDOS.COM MAKES NO GUARANTEE AS TO THE SERVICES OFFERED BY THE PARTICIPATING REAL ESTATE AGENTS AND/OR PARTICIPATING REAL ESTATE BROKERS. WEBSITE USER ACKNOWLEDGES AND AGREES TO RELEASE AND HOLD HARMLESS ColoradoLuxuryCondos.com FOR ANY DAMAGES, INCLUDING PHYSICAL, MENTAL, OR MONETARY DAMAGES SUFFERED BY WEBSITE USER OR A THIRD PARTY RESULTING FROM THE USE OR THIS SITE OR CONTRACTUAL OBLIGATIONS OF ANY THIRD PARTIES THAT MAY BE OWED TO WEBSITE USER BASED ON INTRODUCTIONS MADE THROUGH THIS SITE. THE ONLY REMEDY FOR ANY DAMAGES IS THROUGH THE PARTICIPATING REAL ESTATE AGENT, PARTICIPATING REAL ESTATE BROKER, OR A THIRD PARTY SUCH AS, BUT NOT LIMITED TO, THE OTHER PARTIES TO ANY REAL ESTATE TRANSACTION THAT WEBSITE USER MAY ENTER INTO. COLORADOLUXURYCONDOS.COM’S LIABILITY TO WEBSITE USER FOR ANY CAUSE WHATSOEVER, AND REGARDLESS OF THE FORM OF THE ACTION, WILL AT NO TIME EXCEED $100.00. WEBSITE USER ACKNOWLEDGES THAT IF NO FEES ARE PAID TO ColoradoLuxuryCondos.com, WEBSITE USER SHALL BE LIMITED TO INJUNCTIVE RELIEF ONLY, UNLESS OTHERWISE PERMITTED BY LAW, AND SHALL NOT BE ENTITLED TO DAMAGES OF ANY KIND FROM COLORADOLUXURYCONDOS.COM, REGARDLESS OF THE CAUSE OF ACTION. CERTAIN STATE LAWS DO NOT ALLOW LIMITATIONS ON IMPLIED WARRANTIES OR THE EXCLUSION OR LIMITATION OF CERTAIN DAMAGES. IF THESE LAWS APPLY TO WEBSITE USER, SOME OR ALL OF THE ABOVE DISCLAIMERS, EXCLUSIONS, OR LIMITATIONS MAY NOT APPLY TO WEBSITE USER, AND WEBSITE USER MAY HAVE ADDITIONAL RIGHTS. ColoradoLuxuryCondos.com shall have the right to monitor the content of the Site at all times, including viewing of any information in a Website User’s personal account on the Site, to determine compliance with this Agreement and any operating rules established by ColoradoLuxuryCondos.com, as well as to satisfy any applicable law, regulation, or authorized government request. Without limiting the foregoing, ColoradoLuxuryCondos.com shall have the right to remove any material that ColoradoLuxuryCondos.com, in its sole discretion, finds to be in violation of the provisions hereof or otherwise objectionable. Website User acknowledges and agrees that any questions, comments, suggestions, ideas, feedback, or other information about the Site (“Submissions”), provided by Website User to ColoradoLuxuryCondos.com, are non-confidential and shall become the sole property of ColoradoLuxuryCondos.com. ColoradoLuxuryCondos.com shall own exclusive rights, including all intellectual property rights, and shall be entitled to the unrestricted use and dissemination of these Submissions for any purpose, commercial or otherwise, without acknowledgment or compensation to Website User. By posting communications to, on, or through this Site, Website User shall be deemed to have granted to ColoradoLuxuryCondos.com a royalty-free, perpetual, irrevocable, non-exclusive license to use, reproduce, modify, publish, edit, translate, distribute, perform, advertise with, and display the communication alone or as part of other works in any form, media, or technology whether now known or hereafter developed, and to sublicense such rights through multiple tiers of sublicensees. ColoradoLuxuryCondos.com may terminate this Agreement at any time. Without limiting the foregoing, ColoradoLuxuryCondos.com shall have the right to immediately terminate Website User’s use of the Site in the event that Website User enters into an agreement with a Participating Real Estate Agent or Participating Real Estate Broker who is not a Participating Real Estate Agent or Participating Real Estate Broker. Although ColoradoLuxuryCondos.com introduces Website Users to Participating Real Estate Agents and Participating Real Estate Brokers, Participating Real Estate Agents and Participating Real Estate Brokers are solely responsible for their interactions with Website Users. ColoradoLuxuryCondos.com reserves the right, but has no obligation, to monitor disputes between Website User and these Participating Real Estate Agents and Participating Real Estate Brokers. ColoradoLuxuryCondos.com may terminate Website User’s account, delete any content or information that Website User has posted on the Site, and/or prohibit Website User from using or accessing the Site for any reason, or no reason, at any time in its sole discretion, with or without notice, including if it believes that Website User has accessed this Site and are under 18 year of age or violate these Terms of Service. No action taken pursuant to this Agreement, including any investigation by or on behalf of any party, shall be deemed to constitute a waiver by the party taking such action of compliance with any representation, warranty, covenant, or agreement contained herein or therein and in any documents delivered in connection herewith or therewith. The waiver by any party hereto of a breach of any provision of this Agreement shall not operate or be construed as a waiver of any subsequent breach. The headings and captions of this Agreement are for convenience and reference only and in no way define, describe, extend, or limit the scope or intent of this contract, or the intent of any provisions hereof. If any provision of this Agreement is held invalid by a court of competent jurisdiction, such invalidity shall not affect the enforceability of any other provisions contained in this Agreement and the remaining portions of this Agreement shall continue in full force and effect. 29. Governing Law; Venue and Jurisdiction..
30. Attorney Fees and Collection Costs. In the event that litigation results from or arises out of this Agreement or the performance thereof, the parties agree that the prevailing party’s reasonable attorney’s fees, court costs, and all other expenses, whether or not taxable by the court as costs, shall be reimbursed by the non-prevailing party, in addition to any other relief to which the prevailing party may be entitled, including, but not limited to, any costs of collection. Website User agrees to indemnify and hold ColoradoLuxuryCondos.com, its subsidiaries and affiliates, and each of their directors, shareholders, officers, agents, contractors, partners, and employees, harmless from and against any loss, liability, claim, demand, damages, costs, and expenses, including reasonable attorneys fees, arising out of or in connection with any use of the Site, Website User’s conduct in connection with the Site, or with other users of the Site, or any violation of this Agreement or of any law or the rights of any third party. No modification or amendment of this Agreement shall be valid unless in writing. Oral changes have no effect. Rights and obligations created by this contract shall be binding upon and inure to the benefit of the parties hereto, their successors and assigns. Whenever used, the singular number shall include the plural, the plural the singular, and the use of any gender shall include all genders.